In its latest round of special offers, SEAT is offering the new Mii with free servicing when bought on SEAT Solutions Finance. The offer is for free servicing for three years or up to 30,000 miles, whichever comes soonest. That means buyers can get a Mii with free servicing for as little as £136 a month with no deposit on personal contract purchase. The offer ends on 31 December 2012. 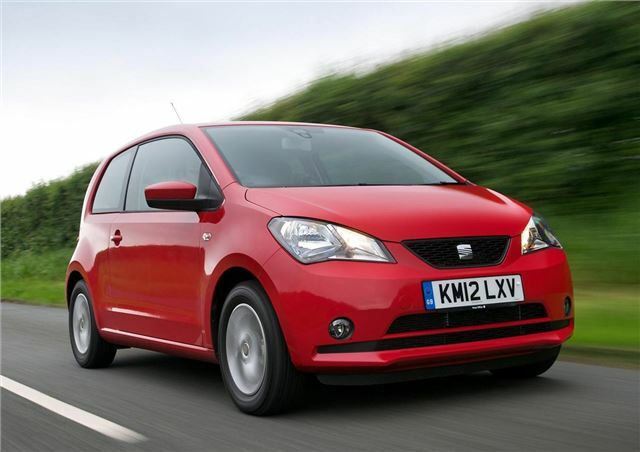 Along with this offer, SEAT is offering the Ibiza and Leon with the cost of VAT knocked off. That means the Ibiza SC 1.4 SE is reduced from £12,115 to £10,125, so a PCP customer covering 10,000 miles can have one for £192 a month over 41 months with no deposit. The Leon 1.2 TSI S Copa can be had for as little as £179 per month thanks to a £2731 price cut. It comes with a generous specification, including 16-inch alloy wheels, front fog lights, dual zone climate control and cruise control. Finally, SEAT is offering 0% hire purchase finance over three years on more powerful models based on a 35% deposit, or 8.9% finance on PCP with a £2000 deposit. These offers are available on the Leon FR, FR+, Supercopa and Cupra R and on Altea, Altea XL, Exeo, Exeo ST and Alhambra models. All of these offers end on 31 December 2012.